I have been invited as a co-worker at La Blu to participate in a new initiative – the inmaculada exhibit. These two days in the second week of December result in what is called a ‘macropuente’ here in Catalunya, meaning two public holidays result in a weeklong holiday. Why miss an opportunity to make ‘fiesta’? I will use this opportunity to show some of my current work. It will also be the first time I will show my ‘Breakthrough’ piece from 2013, which I am really looking forward to. It will be exiting to hear what people will make of this rather bold piece. 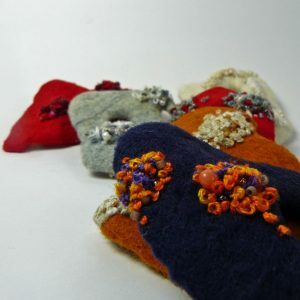 For the benefit of ‘the market corner’, I have also made some of my ‘fragments’ – a small series of brooches that I feel relate well to the rest of the work shown. Today I received a nice package in the mail with my personal copy of the book Worldwide Colours of Felt by Ellen Bakker. 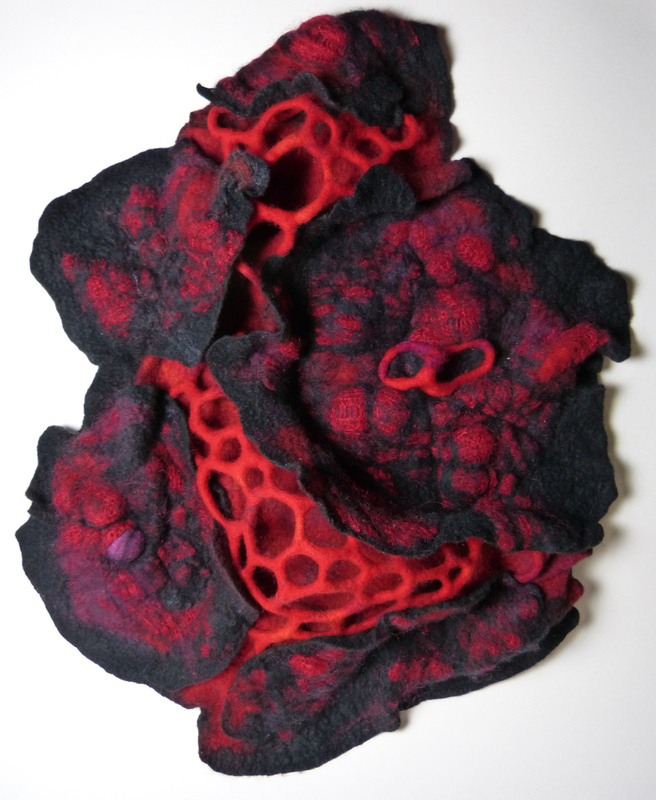 I am proud to be represented in the book with a piece of felted jewellery. It is shown in the blue section although it is honestly more of a purple tone.